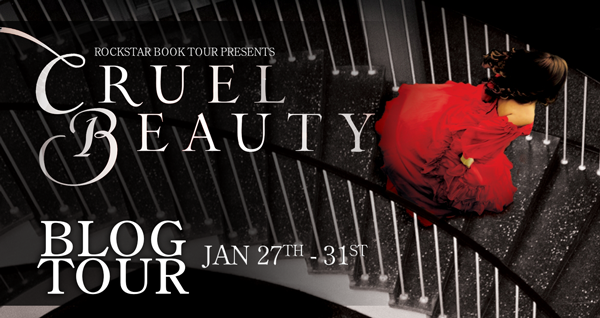 Two Chicks On Books: Blog Tour- CRUEL BEAUTY and a Giveaway!!!! 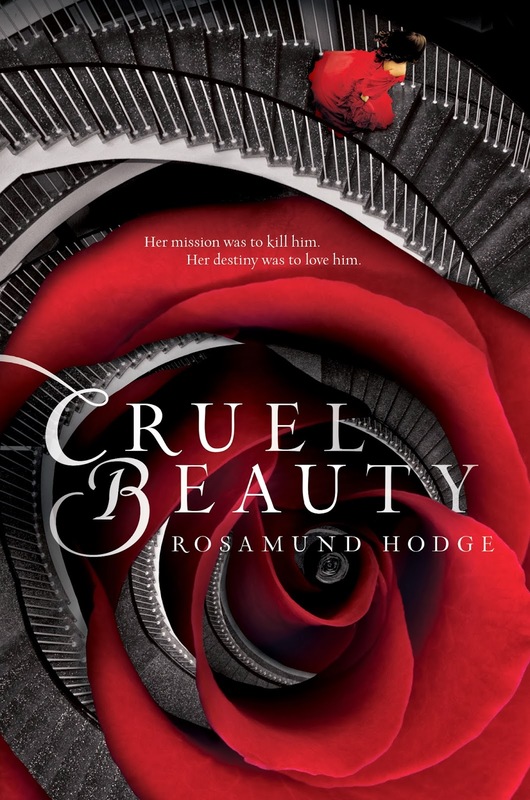 I am so excited to have Rosamund Hodge here today to share her inspiration behind CRUEL BEAUTY! I freaking loved this book and the different take on the Beauty and the Beast story! I know it's early into 2014 but I can definitely say this will make my top 10 of 2014 list! Make sure to enter the giveaway below for a copy of the book! Haven't heard of CRUEL BEAUTY? Check it out! You know this story, right? It’s Beauty and the Beast, the Tale As Old As Time. For the sake of her father, a girl goes to live with a monstrous beast at his mysterious house, where he asks her to marry him every night . . . and only after she agrees, does she find that he’s a beautiful prince. It’s also Bluebeard. A girl marries a strange, charming gentleman who takes her to his beautiful mansion . . . where she discovers that her new husband is actually a monster who keeps his murdered wives in a closet. It’s also East of the Sun, West of the Moon. For the sake of her family, a girl marries a polar bear, and she goes to his strange and beautiful palace . . . where she discovers that he is actually a prince under a curse, and to free him she has to journey all the way to the palace of the trolls. It’s also the myth of Cupid and Psyche. For the sake of her kingdom, a princess is sacrificed to a “monster” . . . but instead of being eaten, she’s taken to a beautiful palace, where her husband visits her in the darkness every night. When she finally sees him, she discovers he’s really Cupid, the god of love, and to be with him forever she has to complete a series of impossible tasks, and journey all the way to the Underworld. And that’s not even getting into more obscure variations like The Singing, Springing Lark or The Three Sisters Who Married the Devil. Once you start reading a fairy tale beyond the Standard Picture Book Version (which is usually a Grimm/Perrault hybrid with the ickiest parts removed), you find that every story is endlessly refracted in a million variations. And when a story becomes so multitudinous, it takes on a life of its own. It’s like a giant sea serpent moving silently beneath the water—you might see only a few fins break the surface, but you know there’s something vast and living underneath. It’s those connections, that sense of secret logic underneath, that drive me to write myth and fairy tale retellings. Why did I write a Beauty and the Beast retelling, and why did I combine it with Greek mythology? Because I realized that all these stories were the same story. And once I had seen the connection between them, I couldn’t look away. I felt like there was another story, a “real” story lurking beneath all these variations. And I had to see if I could write it. Thanks Rosamund! I really loved this post! I had no idea there were so many different variations of the story! Seriously gorgeous cover! Love retellings, can't wait to read this. Congrats in your release! Another retelling fan here - can't wait to read it! Congrats to Rosamund. I was lucky enough to get an ARC and it was really good. Congrats to your release and thanks for the giveaway! congrats to Rosamund on the new release!! Thanks for sharing! I didnt see the connection between all the stories but, now that they have been pointed out I see it. Congrats on your release!! Can't wait to get my hands on a copy! I love beauty and the beast so I'm really excited for a retelling of them!! :D Thanks for the giveaway! I've been really excited to read this book! Not only is the cover gorgeous, but I love how it's a Beauty and the Beast retelling as well as Greek mythology and other stories. Reading your thoughts on how it's many different stories that came together made me want to read it even more. I love retellings, it's one of my favorite genres, and this sounds very unique for a retelling. I can't wait to read and meet Nyx, Ignifex, and everyone else and discover this world! As a retelling and mythology fan, I am definitely excited for this book to come out tomorrow. Thank you for the giveaway! I SO can't wait to read this! I love seeing YA from fellow homeschoolers! Congrats to your release to Miss Rosamund I've been dying to get my hands on your book for a long time now I heard great reviews about it thanks for the great giveaway! I love YA books and this is at the top of my list. I cant wait to read this book! Congrats on your release! The book looks amazing!! The hype for this book is insane right now. Totally need to get a copy, because I'm hopelessly in love with fairy-tale retellings right now. 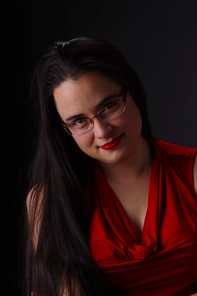 I can't wait to read whatever Rosamund Hodge writes next! I highly recommend this for fans of well-written faerie tale retellings, Greek mythology, realistic characters, clean romance, and twisty, dark tales.